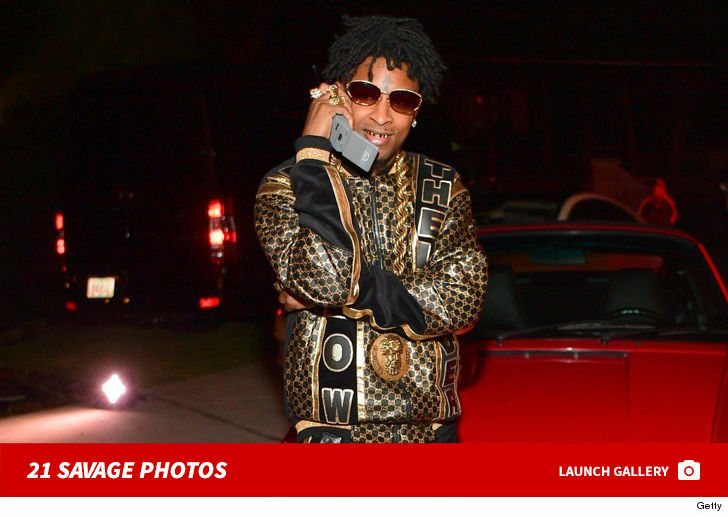 21 Savage got his first taste of freedom in 10 days, and immediately hopped on a private jet to fly back home … TMZ has learned. We got this shot of 21 and his mom boarding the plane at a landing strip near the immigration detention center in southern Georgia where he’d been held since ICE arrested him over Super Bowl weekend. For good reason … the rapper had a huge grin on his face as he headed home. We’re told 21 Savage’s homecoming will include a meeting with friends and family in the ATL area. 21’s not out of the woods … he still faces deportation. We’re told his people are going to fight this tooth and nail, and it appears the big issue is whether 21 has been convicted of a felony. It’s true … 21 pled guilty to felony drug charges in 2014, but that conviction was expunged last year so there is not a felony on his record. Although ICE isn’t giving us any information, it appears they still view 21 Savage as a convicted felon. The rapper has applied for a U-Visa, having been in the U.S. more than 10 years, but the conviction seems to be the sticking point.